Simply put the tea leaves and turn the steering wheel to get powdered green tea. 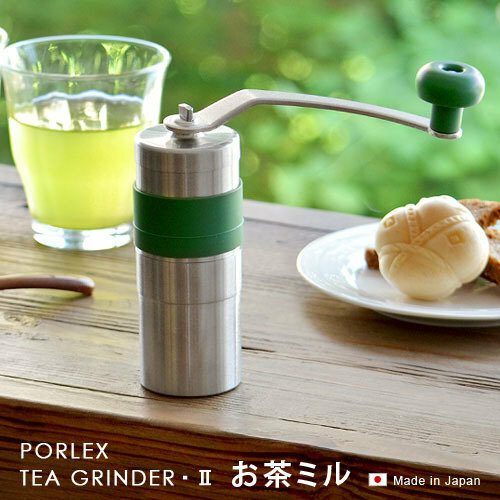 Tea Grinder II edition of the Japanese Porex Company, reliable manufacturer in making ceramic products. Ceramic blades , the most characteristic of this tea mill, have no metallic odor, so you can enjoy the flavor of the tea itself. 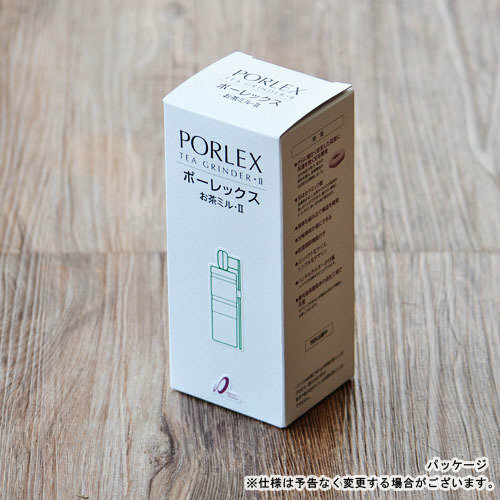 It is more resistant to wear and can be used for a long time with ease because it will not rust. 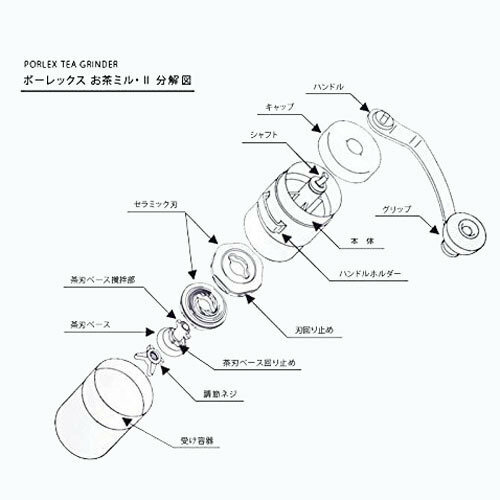 Parts can also be disassembled and cleaned easily, can wash with water so you can enjoy the aroma and taste of fresh tea anytime without leaving tea leaves. It is also possible to grind to the roughness of the powder of your choice by setting the adjustment screw. Powdery tea leaves can easily be melted in hot or cold water. Full Instructions available Now in English! 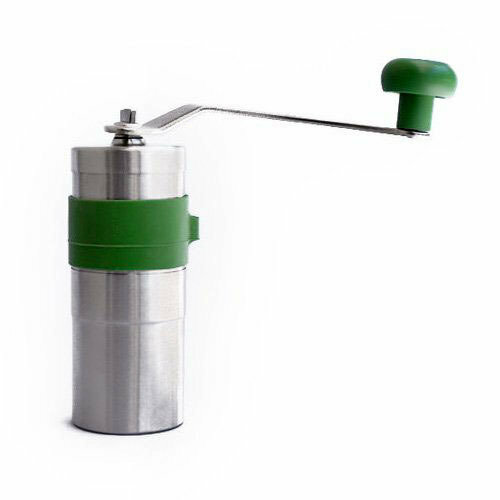 *Note: This mill designed to grind dried tea leaves. Do not use anything other than dried tea leaves as it may cause damage to the blades or clogging. 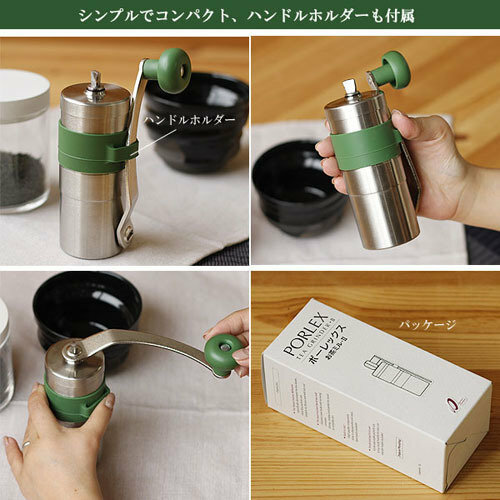 Do not grind tea leaves containing stems and stems. Turning the steering wheel fast, or continuing to use for a long time may cause the edge of the blade or blade to become hot. **Caution: After use, we recommend disassembling the ceramic blade with a small brush such as a toothbrush, and washing the other parts with a soft sponge. Please do not wash with cleanser or metal scrub.Please do not use dishwasher dryer or microwave/oven.